Update – Puj Tub arriving here next month! The easiest way to bathe baby is about to arrive in Australia! The Puj Tub is designed to fit in any standard sink (no more back-breaking leaning over the side of the bathtub). It stores flat but wraps around your little one when in use, cradling the baby and preventing any nasty head bumps on the side of the sink. against injury. Flo also functions as a bubble bath dispenser. Grab yours from Urban Baby for $39.95 plus post. Okay, the Puj Tub won’t stop baby crying when it’s time to get out of the bath but it will make bathtime much easier and calmer. Which is how it should be. 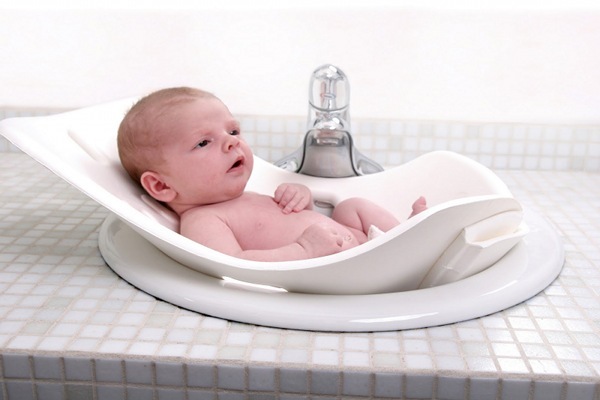 It’s designed for infants from newborn to six months and fits both pedestal and countertop sinks. There’s even a video on the website showing you how to use it. Buy from Urban Baby for $89.95 plus post from early next month.